Most clients need to know the metrics that are important in monitoring and measuring the mobile app. 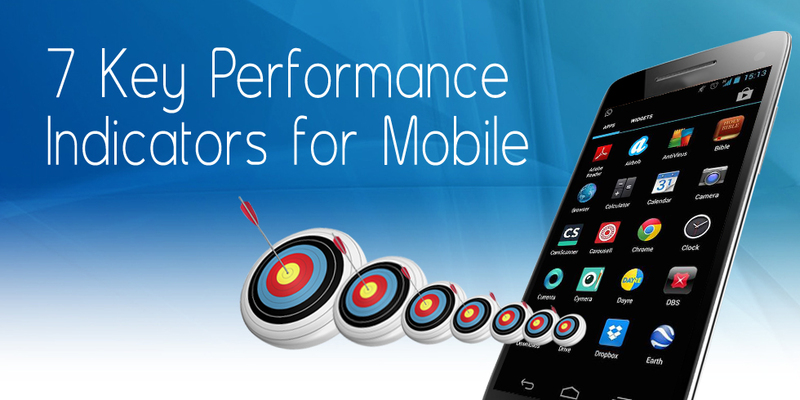 There are a set of key performance indicators, but not every mobile app can be measured using these denominations. Of course, you can use it as a building block, and determine the future metrics for your app. It is not always about number crunching; the number of downloads will not always help measure the app’s popularity. So, you will need to think bigger and better when it comes to KPI. Usage is a key metrics for mobile apps. When people start using your apps, they are bound to get some value- either in form of entertainment, or productivity or plain transactional. Your app should offer some sort of solution to the users. But, apart from the usage numbers, you need to get an insight into the users. Who is using the app, and how they are using it? The demographics as well as the frequency of these users as well as the usage periods of the app will help you get an idea on usage metrics, which will further help you upgrade the app accordingly. Engagement metrics are very important from performance indication perspective. The way you manage to retain your users will help you know if your app is performing well or not. Your users have decided to download your app, and are engrossed with it. But, what happens after a while; does the app obsession end, or is it just the beginning? You will need to strive for longevity, and retention when designing your app. Your store rankings will improve only on the basis of retention and engagement. This indicator is definitely in for all cases. Is your app being used regularly? Users generally tend to download the app, and use it one off time. But, to make them use it regularly would require certain efforts from your end. You will need to keep a count of daily and monthly active users, and understand why they like your app, and how they are planning to use it. With this data in hand, you can easily convert more non-users into users, by closing the gaps. How long does the user stay on your app is a question that needs to be answered. This metrics will help you determine, whether your app truly interests the user or not, and how to keep the user engaged. These statistics will also help steer out all the gaps that are making the users stay for a short while on your app. You will need to quantify the user’s relationship with the app to determine your strategy. You have definitely improved the engagement levels on your app, but have you generated enough revenue from it? One of the main purposes of creating a mobile app is to generate revenues. You need to calculate the average revenue per user that you have made since your app went viral, and improved its user base. The revenue will be based on usage, in-app conversions, and purchases made by the user of your app. You will need to pay attention to both things- what they are purchasing, and how it is topping your revenue. Your app should ideally load within 2-3 seconds of initiating it. Your users have a limited attention span, and you may want to work into it. If your app takes more than necessary time to load, then you will need to optimize and improvise it in a way that the loading time reduces. You will need to keep acquiring new users, and engaging them through new ways. You may need to set new goals related to acquisition of users. For this purpose, you may need to find how your existing user base was created in the first place. How did users find you? Was it through paid/organic search? This will help you determine a strategy for user acquisition. You will need to study these seven metrics and include them when strategizing your mobile app. This will help you keep an eye on the user’s needs, and the gaps that you might need to fill in so that you can keep improving both conversions and profits. Semaphore Software is a leading Mobile Apps Development Company that strategizes and designs apps to meet your business goals. Get in touch with us through info@semaphore-software.com, to know more about us and our services.